Published on 14. 11. 2011 in comics and cartooning, hype & linkage, music and pictorial arts. Closed Tags: DJ Premier, Gerhard Ricther, Heavy D, R. Fiore, T. J. Clark, Will Eisner. Another fine week. Spent a few days in London for work and had the chance to see a number of the exhibitions on display there. I will return to the landmark Leonardo show at the National Gallery presently and hopefully also to the eye-opening Degas show at the Royal Academy, and perhaps even the enjoyable John Martin retrospective at the Tate. Here, however, I just wanted to attach a few words to the Gerhard Richter retrospective at the Modern. Extremely well-received critically as well as commercially, Richter is no doubt one of the heavy hitters of contemporary painting. It is easy to see why. Clearly an intelligent artist, he speaks directly to central aspects of postmodern discourse, engaging in his work trauma (the Holocaust) and ideological violence (Rote Armee Fraktion), art history (from Titian to Mondrian), as well — and most essentially — his own medium. His art, which merges the techniques of photography and painting in innovative ways and alternately emphasizes and suppresses the author’s hand simply screams META! Essentially, however, he is a purveyor of kitsch. Yes, he can emulate strikingly the look of a photograph, but beyond the theoretical reception his subversion of mechanical reproduction enables, these pictures are self-importantm, dim reiterations of his paragons, from Friedrich, Redon and Hammershøi to Duchamp and De Kooning. Gimmicky but decorative — hi-fi bank art, fit for the transnational corporate penthouse. Where he really shows his hand, however, is in his abstract art, particularly his squeegee paintings. Loud and garish, they lack any real sense of color or expressive touch. The work of an intellectual, not a painter. Not really a recommendation, but the distinguished T. J. Clark provides a lengthy counterargument to my little rant above in this panegyric to Ricther. R. Fiore on Will Eisner’s instructional comics for PS Magazine. The Comics Journal‘s venerable critic is in fine form here in this essay on one of the puzzles of Eisner’s career. The legendary hip hop producer marks the sad passing this week of golden age great Heavy D with a great mix of testimonials (and often rare) gems from the Hevster’s career. 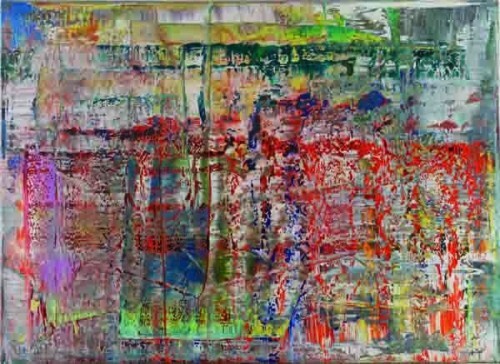 Above: Gerhard Richter, Cage 4 (2006). Published on 01. 08. 2011 in comics and cartooning, documentation and hype & linkage. Closed Tags: MoCCA, Will Eisner. 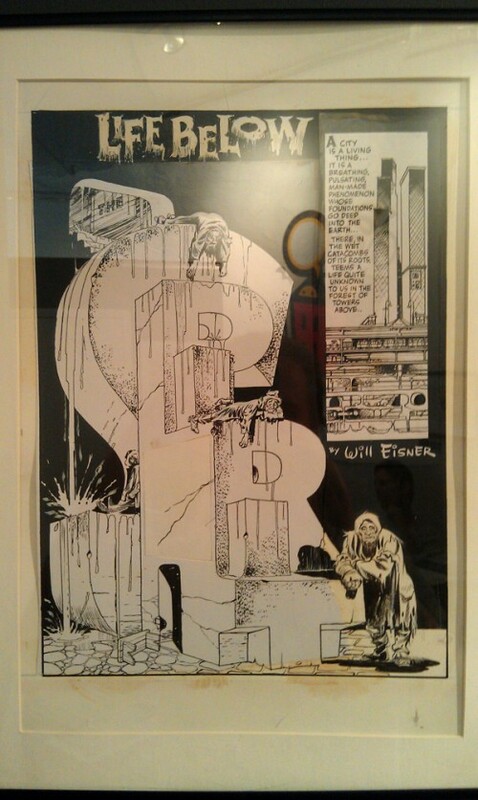 I visited the small Will Eisner retrospective over at MoCCA on Saturday. It’s a good show, with sections devoted to The Spirit (including all the originals to the classic “Gerhard Shnobble” story from 1948), A Contract with God, Dropsie Avenue, plus a generous selection of other material, primarily from the eighties. Well worth a visit, if you’re in the area. I’ve posted a small selection of images over at Nummer9. Peep them.